Our starting point in 2007 was to count your carbon – and it is still a vital part of what we do. But it didn’t take us long to widen the range of what we did and who we did it with – our music industry focus expanded into other arts and from footprinting we developed awards, consultancy, events, our Arts Council partnership, international advocacy, policy work etc. It’s been fun. But beyond the CO2e data we weren’t capturing the deep shifts, the changing view of climate and where it was in the cultural imagination that we saw in other parts of our work. We were in danger of misrepresenting the bigger picture. So in 2014 we asked people to tell us how they felt about the environment, how important it was to their missions, their business, their creative work, their teams and their audiences. That was our Sustaining Creativity Survey that we did with BOP. 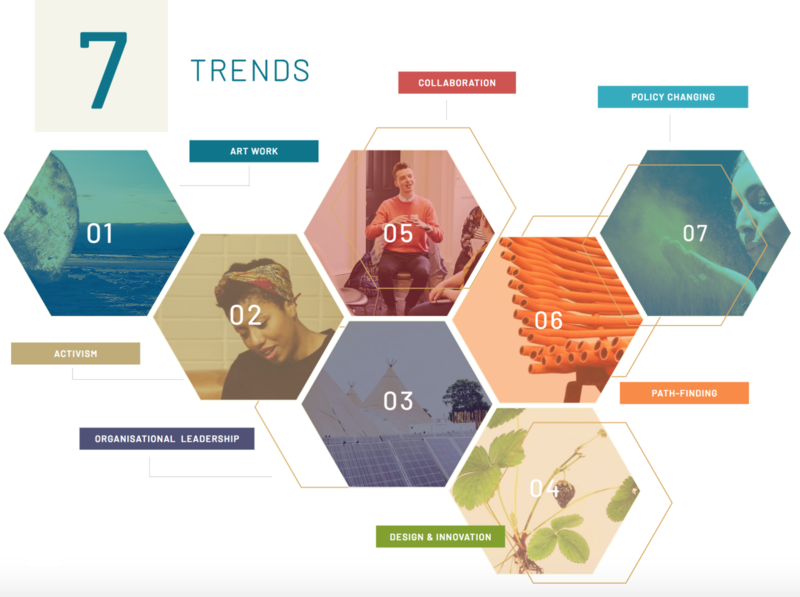 We repeated it last year, rebranding it the Creative Climate Census. We gathered almost 500 responses – over 100 more than 2014 – representing £1.1 billion UK cultural economy. It is the longest-running research anywhere – as far as I know the only research – which tracks over time the views and values alongside the actions of cultural decision-makers to climate change and environment. And the headlines are that there are more people involved, more activities, more leadership, and a deeper, wider broader connection right across the piece. This blog post was originally posted on the Julie’s Bicycle website at https://www.juliesbicycle.com/news/blog-seven-creative-climate-trends.